In Her Last Breath, the fifth novel in Linda Castillo's award-winning Kate Burkholder series, Amish Deacon Paul Borntrager is returning home one rainy evening with his three young children behind Sampson, the sorrel horse he has painstakingly trained for buggy duty. Without warning, a pickup truck roars out of a blind intersection and smashes into the buggy, killing Paul, the horse, and two of his children. The truck does not stop, and precious minutes pass before the police are called. When the dying Paul greets Painter's Mill police chief Kate Burkholder by name, she realizes with horror that this is the family of her closest childhood friend, Mattie. When Kate tore herself away from her Amish family and community as a young woman, beautiful Mattie had stayed in the Plain Life, married Paul, and bore his children. While Holmes County has jurisdiction, Sheriff Rasmussen is quite relieved to have Kate notify Mattie of the accident. 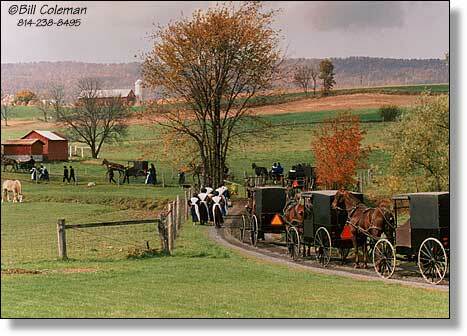 Historically, the Amish are skeptical of police and uninterested in retribution through the legal system. They believe that everything that happens comes from God, and their sometimes terrible duty is to accept, forgive, and remain faithful. After the horrible and very real slaughter at the Nickel Mines Amish School, families of the victims visited and comforted the family of the shooter, publicly announced their forgiveness of the crime, and even set up a charitable fund for his wife and children. 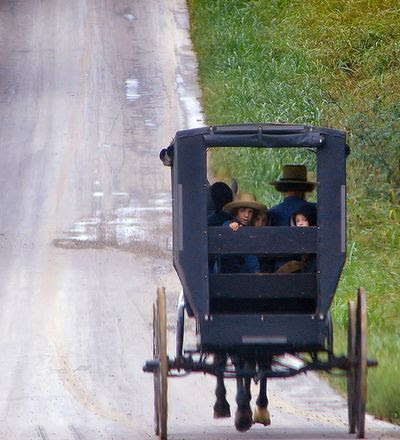 Before driving to Mattie's place, Kate stops to pick up the Amish Bishop, with whom she has a long and stormy history. When he answers her late night knock with an urgent "What is wrong?" Kate can only burst into tears. Her professional composure recovered, she drives the bishop to Mattie's, then when Mattie's shock and grief are under control, takes both of them to the hospital, where David, Mattie's only surviving child, is already in surgery. It was a curious accident scene. There were no skid marks from braking, and no debris from the vehicle except for a side-view mirror and part of a heavy-duty cotter pin. The vehicle must have blown through a stop sign at 80 miles an hour to have scattered the bodies and buggy debris so far. There was an impression of a large bolt in the wooden side of the buggy's door. After painstaking reconstruction, the police finally conclude that it had not been an accident, but deliberate murder. Was it a hate crime, or something personal? In the meantime, a couple of boys playing in an abandoned grain elevator discovered something that could cause serious trouble for Kate and her family. Outside of her brother and sister, only her lover, Investigator John Tomasetti of the state police, knows her troubling secret. Dr. Michael Armitage, from whose office Paul and the children were returning when they were killed, confirms that all three children had Cohen Syndrome, a genetic disorder that delays and distorts mental and physical development. It is rare, and found mostly in narrow gene pools. Mattie and Paul, both healthy themselves, must both be carriers. He also confirmed that it was usually Mattie, not Paul, who brought the children to their weekly appointments. From there, the story moves quickly to a breathtaking, if somewhat sketchy, conclusion that nearly solves all of Kate's problems forever––at the bottom of a lake! This is the fifth in the author's Kate Burkholder series, but the first I have read. Consequently, I don't know if the body found in the old grain elevator is a surprise to followers of the series, but it added a whole new dimension, which remains unresolved, to the story. The story moved nonstop, and the histories of these two remarkable women and the secret burdens they each carry almost overshadowed the chilling murder mystery at times. The book is written in the first person, from Kate's perspective, and in the present tense. While I often find this annoying in a novel, this one moved so fast that I quickly forgot about it. While I found the plot rather thin and improbable, the author offers a few fresh insights into this fascinating and secretive society in the setting of a truly heinous crime. Note: I received a free review copy of Her Last Breath, which will be released by Minotaur Books on June 18, 2013. Portions of this review may appear on other sites under my user names there.